The initial public offering of Advanced Enzyme Technologies Ltd was covered 89% at the end of the first day of the issue on Wednesday thanks largely to retail investors. The issue of 3.23 million shares received bids for 2.28 million shares, stock-exchange data show. Retail investors bid for almost 150% of the shares set aside for them. Institutional buyers subscribed to 41% of the shares reserved for them while non-institutional investors bid for 17% of their portion. On Tuesday, the company raised Rs 122.85 crore ($18 million) from 15 anchor investors at the higher end of its issue price band of Rs 880-896 a share. The company allotted 1.37 million shares, with DB International (Asia) pocketing a fifth of the total. Other anchor investors include Kuwait Investment Authority, DSP Blackrock, ICICI Prudential Midcap Fund, Reliance Capital and SBI Life Insurance. 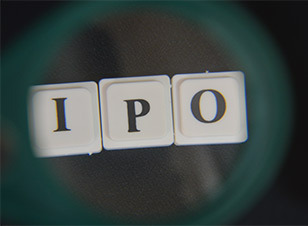 The IPO comprises a fresh issue to raise Rs 50 crore and an offer for sale of about 4 million shares by its promoters, Kotak Private Equity and other shareholders. The total issue size will be about Rs 412 crore at the upper end of the price band. Kotak Private Equity had invested Rs 30 crore in the firm in mid-2012. It is now offloading around half its stake. ICICI Securities and Axis Capital are managing the issue. The company had filed its draft red herring prospectus for the IPO with capital markets regulator Securities and Exchange Board of India in January. It received SEBI approval in early May. Advanced Enzyme researches, develops, makes and sells about 400 proprietary products developed from 60 indigenous enzymes. It says it ranks among the top 15 global companies in terms of enzyme sales, and has the second-highest market share domestically, next only to the world leader Novozymes. India's IPO market has seen significant momentum in the past few weeks. L&T Infotech Ltd’s Rs 1,243-crore IPO was subscribed more than 11 times last week.